Mix and Chic: Home tour- A beautiful seaside retreat! 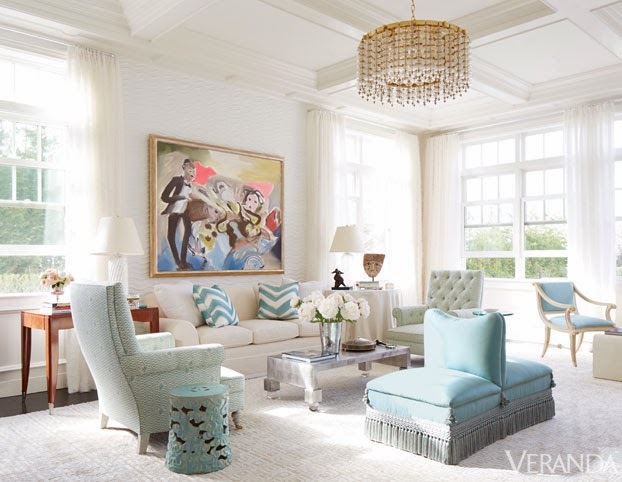 A couple enlisted the help from Manhattan-based interior designer, Brian J. McCarthy to turn a 10-year old Shingle Style house into a lovely seaside retreat. Here are the results! 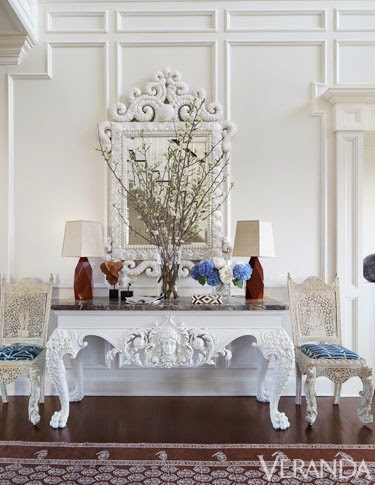 Relaxed and romantic, this home exudes beauty with a sense of laid back glamour. I am absolutely enthralled with this gorgeous home especially the beautiful dining room, the striped study room and serene master bedroom. Which room gets your vote? I would love to hear your thoughts!